James McRae is a member of the Australian quad sculls crew and is a three-time Olympian. Interviewed after his crew achieved a silver medal at the Rio Olympics 2016, James said, “Maybe we’d better go to Tokyo. We came fourth in Beijing, third in London and second in Rio, there is a bit of a pattern”. McRae is the tenth Olympic rower produced by the Murray Bridge Rowing Club in South Australia. In the feature-length documentary film Paris or the Bush – The Story of the Cods, McRae states that he is proud to be a member of the same club as the Murray Cods, the name given to the men’s eight rowing crew that represented Australia at the 1924 Paris Olympics. Beautifully produced by film-makers Wayne Groom and Carolyn Bilsborow, Paris or the Bush, relates a wonderful Australian story. The film makes important statements on many levels – the sport of rowing and the Olympic ideal, the social and community history of the small town of Murray Bridge, World War, working class versus the establishment, WW1 servicemen, the RSL and conscientious objectors. The script is informative and concise and the visual aspects superbly portrayed. Up-to-date digital media is used present newspaper reports and old photographs together with archival moving film footage from many places – Australian rowing regattas, the Gallipoli landing and the war in France, the Henley on Thames Peace Regatta, the Paris Olympics and the 1924 Tailteann Games in Ireland. Interwoven with this is the important commentary from family descendants of crew-members, local historians, rowing experts and other historians. The words of the family members, in particular, are enlightening, good humored and in the case of Ted Thomas, son of an original Cod member, dry and laconic. All manage to portray aspects of the personalities of the rowers. At the Canberra viewing, Canberra Rowing Club President, Geoff Brown reinforced the view that rowing is perhaps the ultimate team sport – requiring all team members to work together as a single unit for the whole duration of the event. The Murray Bridge Rowing Club was formed in 1909 but the story of the Cods began a little later following a serendipitous meeting between members of the Rowing Club and former Boer War veteran Teddy Higgs. There are many heroes in the story of the Cods, none more important than Higgs. Enroute from Tasmania to the Kalgoorlie gold fields, Higgs met members of the Murray Bridge Rowing Club who persuaded him to stay in Murray Bridge to provide coaching support for the club. The seeds of the Cods success were sown. The coaching methods employed by Higgs were different from the norm and favoured strength over style with a good mix of balance, timing and power. Their motto, “mileage makes champions”. In the pre-war period under the tutelage of Higgs, the Cods, a crew of working class railway men and tradesman first won the 1912 SA State Championship and followed this by winning the 1913 men’s eight-oar National Championship on the Port River, Adelaide. The latter event was held in poor, choppy conditions with Higgs employing the novel, effective tactics of fitting splash-boards to the boat and supplying the cox, Robert Woodhead, with a billycan to bale out water. Then, after the completion of the war, Higgs and his re-vamped, although aging crew won three more national titles in 1920, 1922 and 1923. The distinctive Murray cod emblem that was tied to the bow of the boat whenever the Cods rowed still holds pride of place in the clubrooms. 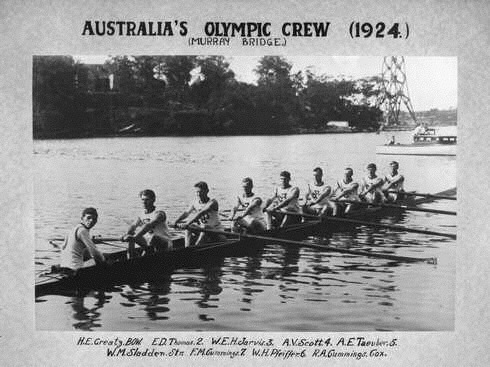 The 1923 win would eventually see the Cods, a club crew from regional South Australia, earn the right to represent Australia in the men’s eight race against the greatest rowing nations at the 1924 Paris Olympics. This was the same Olympics at which the American swimmer, Johnny Weissmuller, the future movie Tarzan, won the 100m freestyle and the great Australian Boy Charlton won gold in the 1500m freestyle with Frank Beaurepaire taking the bronze. Competing on the athletics track were Eric Liddell and Harold Abrahams, the British athletes featured in the film Chariots of Fire. Throughout their 12 year journey the Cods would encounter prejudice and other setbacks and the film considers these forensically. In the early years, the elite Adelaide rowing establishment challenged the amateur status of some Cods rowers. The class distinction in the South Australian Amateur Rowing Association had operated for many years and was shamefully ingrained in the constitution. This continued elitism would eventually lead to the resignation of Murray Bridge Rowing Club President and father figure Dr C. N Macquarie. A further dispute occurred when, in late 1923, the RSL challenged the rights of crew member Wally Pfeiffer to represent his country. Pfeiffer had been a conscientious objector during the war. However, Pfeiffer’s fellow crew members, five of whom were returned soldiers, understood his position and rallied to his defence. Also discussed are the exploits of some of the crew during the war years and beyond. Robert Woodhead lost an eye and a thumb at Gallipoli and never rowed again. The genial Hedley Joyce was killed in action in France. Injured during fighting at the Somme, Frank Cummings rowed in the post-war Cods crew with unremovable shrapnel lodged in his back. Another Cod, Arthur Scott was a member of the AIF crew that represented Australia at the 1919 Henley-on-Thames Peace Regatta hosted by George V. The “robust, not refined” Scott, whose war time promotion to lance corporal was swiftly followed by a seemingly unwarranted court martial for disobedience, found himself in a crew containing several officers and then in front of the King as the winning Australians were awarded the huge trophy. Scott’s name remains engraved on the Kings Cup, the trophy that, since 1922, has been awarded to the winning crew at the annual eights rowing competition between the States. The tribulations experienced and the remarkable resourcefulness displayed by the Cods in their boat journey to and experience of the Olympics is told in an enthralling manner. They travelled and lived on a shoestring budget, earning an extra pittance by forming a makeshift dance band to play at a club near their initial training venue on the outskirts of Paris. The crew was then faced with a 26-mile journey to row their boat to quarters near the Olympic rowing course. The accommodation was basic and the food poor. A number of crew members suffered dysentery and other illness. Added to this was that their style of rowing suited the longer three mile course rather than the Olympic distance of 2000m (approx. 1.25 miles). It was all a probably a “bridge too far” to expect that they would succeed against the better equipped, Europeans or the crack Yale crew (including Dr Benjamin Spock) from the USA. The Australians were beaten in the repechage race. The film includes an unearthed treasure in the form of movie footage showing the Cods competing in the 1924 Talteinn Games held in Dublin subsequent to the Olympics. Although the beaten by a similar working class crew from Derry (the greatest event since the siege of the 17th century, according to the Mayor of Derry), the Cods gained some solace when Wally Pfeiffer won gold in the single sculls. Despite their disappointment, the Cods returned home to a heroes welcome in Murray Bridge. Historian and author Michael Sexton summed up this remarkable journey from country Australian rowers to national champions to Olympic representation saying that they had encapsulated the Olympic ideal and that their story was important to the Olympic movement in an age when, “sport has become so much about winning and losing. The consequences of losing now are almost greater than the consequences and rewards of winning”. Paris or the Bush- the Story of the Cods is an important and impressive statement and Wayne Groom and Carolyn Bilsborow are to be congratulated in bringing the story to a wider audience. It should be valuable viewing for all those with an interest in Australian sporting history and especially to any young sportsperson with aspirations to become the James McRae or Kim Brennan of the next generation. Peter Crossing loves the pure 'n natch'l blues. A conflicted Crows supporter and former resident of Canberra, he has enjoyed the fact that GWS brought an exciting style of Australian football to the National capital. He is a member of the silver fox faction of the Adelaide Uni Greys. This is a magnificent story. Thanks Peter for reviewing the doco. 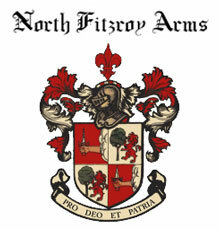 I wonder if we can organise a showing in Melbourne – even if it’s just at the North Fitzroy Arms. Thanks Peter. Was the Mannum Rowing Club, home of Dean Mobbs, the Cods’ “local” rivals? Thanks for drawing this story to our attention and congratulations Wayne & Carolyn for bringing such a great tale out of obscurity. I particularly enjoyed the “political” aspects of the narrative, and the redemptive aspects of the Cods’ wonderful achievements in overcoming the formidable obstacles which they faced. As some 1 who is not a rowing expert is the elitism still in the sport ? Amazing story. As a Croweater originally I knew none of it. 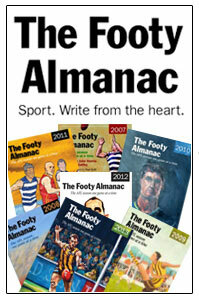 Touches on so many aspects of our social and political history – not just sport. Well done Wayne and Carolyn for the labour of love in putting it together. Thanks for the riveting summary PC. As a Perth resident these days how do I get to see it? TV, DVD, Film Festivals??? You’ve written this story beautifully. I can’t wait to see the film.You make it come alive. 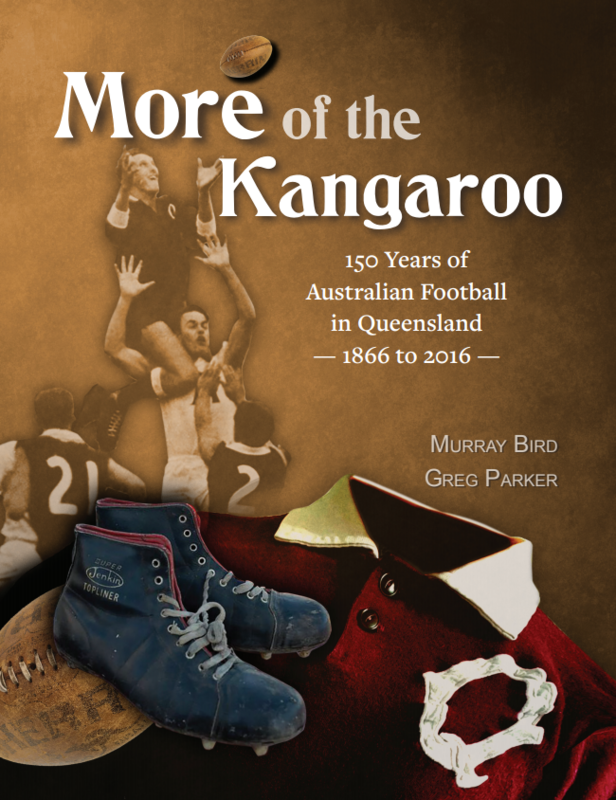 It sounds like the sort of story that should appeal to any Australian, sports-lover or not, because of the great themes which it touches on. Thanks again. It makes me want to go back to Murray Bridge to see the place where it all grew out of. Our U3A Australian Sporting History friends will certainly enjoy it. This is a wonderful tale, Peter. Something weird happened. I responded here a few hours ago. Congratulations Peter on a fine review. 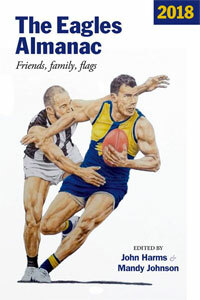 I lived next to Frank Cummings in Murray Bridge as a boy aged 5 to 8 in the mid-1950s. At that time he was an invalid, spending much time in a wheelchair and otherwise walking around gently tending his garden. Whether it was the shrapnel that indisposed him I do not know. I was interviewed for the film but due to other commitments missed the screenings in my old town and in Port Adelaide. I’m thus not sure whether my contribution is included or left on the cutting room floor. You are right to give credit to Mike Sexton for his fine essay but there was also an interesting academic article by Robert Bartlett which appeared in the ASSH journal, Sporting Traditions, around the late 1990s which should not escape notice. Thanks to you all for your kind comments. John – I am sure Wayne would be interested in a Melbourne viewing. The Canberra event was hosted by the Canberra Rowing Club. In 1922 the Cods defeated a club (not composite) crew from Mercantile Rowing Club in the Kings Cup. 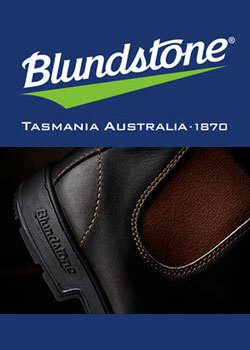 Perhaps Mercantile could sponsor it. Swish – Mannum RC beat the Cods in an early regatta at Mannum in 1911. Said Cod rower Bub Jarvis, “We came back with a wet arse and no fish”. Peter – A Perth Rowing Club could host a viewing. In the 1923 Kings Cup held on the Swan, the Cods beat a promising WA crew. The win paved the way to the Olympics before yet another setback. Rulebook – This would all make a fascinating study. In the film, Robin Poke (rowing guru) makes the point that the Cods “paved the way for a level playing field, foreshadowing the fact that rowing is for everybody”. Nevertheless, as you would be aware, there are facets of elitism all around. Bernard – Rob Bartlett (he has to be related to Dasher and Rick Bartlett) and other historians articulated many thoughtful contributions to the film. Mike Sexton summed it all up beautifully. I will seek out Rob’s ASSH paper. A great story Peter. Look forward to watching the doc. A great story. James McRae played footy with my son Anthony as a junior at Ramblers and was a terrific player; could certainly have gone a long way at footy if rowing didn’t intervene. A former patient of mine the late Harry Beauchamp was visited at his riverfront property in the early 60s by Prince Phillip who as a rowing fan had been keen to see ( I believe) where the Cods had come from (and maybe where Olympic heats occurred in 56? I’m going on memory here-will have to check facts!) A picture of the Prince alighting from a Daimler in his driveway was proudly displayed in Harry’s ski-boat shed.